Malcolm John "Mac" Rebennack (born November 21, 1940), better known by the stage name Dr. John, is an American singer, songwriter, voice actor, pianist, and guitarist, whose music combines blues, pop, jazz, zydeco, boogie woogie, and rock and roll. Active as a session musician since the late 1950s, he gained a cult following in the late 1960s following the release of his album Gris-Gris and his appearance at the Bath Festival of Blues and Progressive Music. He performed a wildly theatrical stage show inspired by medicine shows, Mardi Gras costumes, and voodoo ceremonies. Rebennack has recorded over 20 albums and in 1973 scored a top-20 hit with "Right Place Wrong Time". 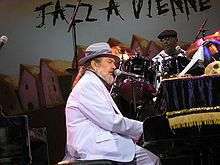 Born in New Orleans in 1940, Dr. John has said that his French lineage took root there some time in the early 1800s. Growing up in the Third Ward, he found early musical inspiration in the minstrel tunes sung by his grandfather and a number of aunts, uncles, sister and cousins who played piano. He did not take music lessons before his teens, and only endured a short stint in choir before getting kicked out. His father, the owner of an appliance store and record shop, exposed him as a young boy to prominent jazz musicians like King Oliver and Louis Armstrong, who inspired his 2014 release, Ske-Dat-De-Dat: The Spirit of Satch. Throughout his adolescence his father's connections enabled him access to the recording rooms of burgeoning rock artists such as Little Richard and Guitar Slim. From these exposures he advanced into clubs and onto the stage with varying local artists, most notably, Professor Longhair. When he was about 13 or 14 years old, Rebennack met Professor Longhair, which started a period in his life that would mark rapid growth as a musician and the beginnings of his entry into professional music. He describes his initial impression of Professor Longhair noting not only his musical prowess, but his style: "I was also fascinated that he was sitting out there in a turtleneck shirt with a beautiful gold chain with a watch hangin' on it, and an Army fatigue cap on his head. And I thought, Wow, I never seen nobody dressed like this guy. Just everything about the man was totally hip. And he had gloves on him, too, beautiful silk gloves. I'll never forget this." At age 16 he was hired by Johnny Vincent as a producer at Ace Records. There, he worked with artists like James Booker and Earl King, his musical experience expanding notably. He struggled through intermittent years of high school. While a student at Jesuit High School, he was already playing in night clubs, something the Jesuit fathers disapproved of. They told him to either stop playing in clubs or leave the school. He chose the latter. According to lore, this was the seed of his classic, "Right Place, Wrong Time." Eventually he focused entirely on music. Thereafter an entry into heavy narcotics use would fuel his desire to get out of New Orleans and move to California where his character, Dr. John, was born. In late 1950s New Orleans, Rebennack originally concentrated on guitar and he gigged with local bands including Mac Rebennack and the Skyliners, (Paul Staele/Dennis "Bootsie" Cuquet, drums; Earl Stanley, bass; Charlie Miller, trumpet; Charlie Maduell, sax; Roland "Stone" LeBlanc, vocals), Frankie Ford and the Thunderbirds, and Jerry Byrne and the Loafers. He had a regional hit with a Bo Diddley-influenced instrumental called "Storm Warning" on Rex Records in 1959. During these days he was an A&R man producing, with Charlie Miller, monophonic singles on 45s for Johnny Vincent and Joe Corona for such local labels as Ace, Ron, Ric and others. For these sessions he oversaw A&R and the rhythm section while Miller wrote the horn arrangements and headed up the horns. It was a productive team until Miller decided to move to New York and to study music formally. Rebennack's career as a guitarist was stunted when his left ring finger was injured by a gunshot while he was defending singer/keyboardist Ronnie Barron, his bandmate, Jesuit High School classmate, and longtime friend, at a Jackson, Mississippi gig. After the injury, Rebennack concentrated on bass guitar before making piano his main instrument; pianist Professor Longhair was an important influence on Rebennack's piano-playing style. Dr. John grew up with full exposure to the realities of New Orleans. Prostitutes, pimps, thieves and addicts all participated in the same nightlife scene that contributed to his development as a musician. During the 1950s, he sold narcotics and even ran a brothel. He was arrested on drug charges and sentenced to two years in a federal prison at Fort Worth, Texas. His sentence ended in 1965 and he left for Los Angeles. He moved to Los Angeles in 1965 where he became a "first call" session musician in the booming Los Angeles studio scene in the 1960s and 1970s and was part of the so-called "Wrecking Crew" stable of studio musicians. He provided backing for Sonny & Cher (and some of the incidental music for Cher's first film, Chastity), for Canned Heat on their albums Living the Blues (1968) and Future Blues (1970), and for Frank Zappa and the Mothers of Invention on Freak Out! (1966), as well as for many other acts. Dr. John was always fascinated with New Orleans voodoo, and in Los Angeles he developed the idea of the Dr. John persona for his old friend Ronnie Barron. He imagined it as an interesting stage show and an emblem to their New Orleans heritage. "Well, there was a guy the name of Dr. John, a hoodoo guy in New Orleans. He was competition to Marie Laveau. He was like her opposite. I actually got a clipping ... about how my great-great-great-grandpa Wayne was busted with this guy for runnin' a voodoo operation in a whorehouse in 1860. I decided I would produce the record with this as a concept." Of course, he would assume the role of Dr. John himself, which came apprehensively. He recalls reading about the original Doctor John in his youth, a purported Senegalese prince who came to New Orleans from Haiti, a medicinal and spiritual healer. The Doctor was a free man of color who lived on Bayou Road and claimed to have 15 wives and over 50 children. He maintained a fascination with reptiles and kept an assortment of snakes and lizards, along with embalmed scorpions and animal and human skulls. His specialization was healing, and as such, in selling gris-gris, voodoo amulets that protected the wearer from harm. Gris-Gris became the name of Dr. John the musician's famed debut album, his own form of "voodoo medicine". Beginning in the late 1960s, Rebennack gained fame as a solo artist after adopting the persona of "Dr. John, The Night Tripper". Dr. John's act combined New Orleans-style rhythm and blues with psychedelic rock and elaborate stage shows that bordered on voodoo religious ceremonies, including elaborate costumes and headdress (reflecting and presumably inspired by Screamin' Jay Hawkins's stage act). In 1970, when Howard Smith asked him where the name "Dr. John the Night Tripper" came from, he responded, "Before that I was Professor Bizarre. Cats used to call me things like “Bishop” or “Governor” or somethin’ but they started callin’ me “Doctor” for a while, so I just hung it on myself for keeps." On the earliest Dr. John records, the artist billing was "Dr. John, The Night Tripper", while the songwriting credits billed him as "Dr. John Creaux". Within a few years the "Night Tripper" subtitle was dropped, and Rebennack resumed using his real name for writing and producing/arranging credits. Along with Gris-Gris, Dr. John is perhaps best known for his recordings in the period 1972-74. 1972's Dr. John's Gumbo, an album covering several New Orleans R&B standards with only one original, is considered a cornerstone of New Orleans music. In his 1994 autobiography, Under a Hoodoo Moon, Dr. John writes, "In 1972, I recorded Gumbo, an album that was both a tribute to and my interpretation of the music I had grown up with in New Orleans in the late 1940s and 1950s. I tried to keep a lot of little changes that were characteristic of New Orleans, while working my own funknology on piano and guitar." The lead single from the album, "Iko Iko", broke into the Billboard Hot 100 singles chart. In 2003, Dr. John's Gumbo was ranked number 404 on Rolling Stone magazine's list of the 500 greatest albums of all time. In 1973, with Allen Toussaint producing and The Meters backing, Dr. John released the seminal New Orleans funk album In the Right Place. In the same way that Gris-Gris introduced the world to the voodoo-influenced side of his music, and in the manner that Dr. John's Gumbo began his career-long reputation as an esteemed interpreter of New Orleans standards, In the Right Place established Dr. John as one of the main ambassadors of New Orleans funk. In describing the album, Dr. John states, "The album had more of a straight-ahead dance feel than ones I had done in the past, although it was still anchored solid in R&B." It rose to #24 on the Billboard album charts, while the single "Right Place Wrong Time" landed at #9 on the Billboard Hot 100 singles chart. A second single, "Such a Night", peaked at #42. Still in heavy rotation on most classic rock stations, "Right Place Wrong Time" remains his single most recognized song. Artists such as Bob Dylan, Bette Midler, and Doug Sahm contributed single lines to the lyrics, which lists several instances of ironic bad luck and failure. Dr. John attempted to capitalize on In the Right Place's successful formula, again collaborating with Allen Toussaint and The Meters, for his next album, Desitively Bonnaroo – part of which a Tennessee festival took as its name – released in 1974. Although similar in feel to In the Right Place, it failed to catch hold in the mainstream as its predecessor had done. It was his last pure funk album until 1994's Television, although like his voodoo and traditional New Orleans R&B influences, funk has continued to heavily influence most of his work to the present day, especially in his concerts. Dr. John has also been a prominent session musician throughout his career. He played piano on the Rolling Stones' 1972 song "Let It Loose", and backed Carly Simon and James Taylor in their duet of "Mockingbird" in 1974, and Neil Diamond on Beautiful Noise in 1976. He also contributed the song "More and More" to Simon's Playing Possum album. He played on three songs on Maria Muldaur's 1973 solo debut album, including his composition "Three Dollar Bill". He sang on four songs and played piano on two songs on Muldaur's 1992 Louisiana Love Call. He was co-producer on Van Morrison's 1977 album A Period of Transition and also played keyboards and guitar. He contributed three songs as writer or co-writer ("Washer Woman", "The Ties That Bind", and "That's My Home") and also played guitar and keyboards on Levon Helm's 1977 release, Levon Helm and the RCO Allstars. He performed on the March 19, 1977 episode of NBC's Saturday Night Live. He played keyboards on the highly successful 1979 solo debut album by Rickie Lee Jones and has toured with Willy DeVille and contributed to his albums Return to Magenta (1978), Victory Mixture (1990), Backstreets of Desire (1992), and Big Easy Fantasy (1995). His music has been featured in many films, including "New Look" in National Lampoon's European Vacation in 1985 and "Such a Night" in Colors in 1988. In 1992, Dr. John released the album Goin' Back to New Orleans, which included many classic songs from New Orleans. Many great New Orleans-based musicians, such as Aaron Neville, the Neville brothers, Al Hirt and Pete Fountain, backed up Dr. John on this album. He also performed as the first American artist at the Franco Follies festival in 1992. Dr. John’s longtime confidant and personal manager, Paul Howrilla, was responsible for moving Dr. John from Los Angeles, CA to New York, NY and securing the "crossover" work, as well as modifying Dr. John’s image from the 1970s to the 1990s. Paul Howrilla was the brains behind the scenes, as Dr. John would attest. They remain close friends to the present day. Dr. John has also done vocals for Popeyes Chicken & Biscuits' "Luv dat chicken..." jingle, as well as the theme song ("My Opinionation") for the early-1990s television sitcom Blossom. A version of "Do You Know What It Means To Miss New Orleans" with Harry Connick, Jr. was released on Connick's album 20 and VHS Singin' & Swingin' in 1990. Dr. John moved back to Louisiana in 2009. In 1997, he appeared on the charity single version of Lou Reed's "Perfect Day". In the same year, he played piano on the Spiritualized song "Cop Shoot Cop...", from their critically acclaimed album Ladies and Gentlemen We Are Floating in Space. Frontman Jason Pierce, a fan of Dr. John's music, reciprocated by guesting on Dr. John's 1998 album Anutha Zone along with drummer Damon Reece and guitarist Thighpaulsandra. 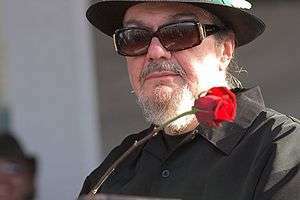 In January 2008, Dr. John, was inducted into The Louisiana Music Hall of Fame. Later, in February, he performed at All-Star Saturday Night, part of the NBA All-Star Weekend hosted by New Orleans. Dr. John played keyboards and had a major role in shaping Gregg Allman's 2011 album Low Country Blues, which was produced by T-Bone Burnett. In 2011, he collaborated with Hugh Laurie on the song "After You've Gone" on Laurie's album Let Them Talk. Also in 2011, Dr. John, Allen Toussaint and The Meters performed Desitively Bonnaroo at the Bonnaroo Music and Arts Festival in Manchester, Tennessee, as part of the festival's tenth year celebration. The name of the festival was taken from the 1974 Dr. John album, Desitively Bonnaroo. The same year he was inducted into the Rock & Roll Hall of Fame along with Neil Diamond, Alice Cooper, Darlene Love and Tom Waits. In 2012, he released Locked Down, a collaboration with Dan Auerbach of The Black Keys, who produces and plays guitar. The album received very positive reviews for its raw, Afrobeat-influenced sound. The Los Angeles Times said that it showed Dr. John "exiting a period of relative creative stagnation by creating something magical, the embodiment of everything he's done but pushed in a clear new direction". In 2014, Dr. John released his Louis Armstrong tribute album, The Spirit of Satch, on Concord Records USA and Proper Records in Europe. Dr. John described the inspiration of the album as Louis Armstrong coming to him in a dream and telling him "do my music your way". The album was co-produced and arranged by Sarah Morrow, Dr. John's music director and trombone player. The Los Angeles Times said, "Tribute albums come and go, but it's a real rarity that can snap a listener to attention like Dr. John's new salute to jazz founding father Louis Armstrong. "Ske-Dat-De-Dat" turns many of the songs Armstrong recorded inside out and upside down, fast-forwarding them to 2014 with hip-hop beats, funk grooves and wildly inventive horn arrangements that are the work of John and his co-producer and arranger for the project, trombonist Sarah Morrow." In spring 2014, "The Musical Mojo of Mac", a New Orleans concert to honor Dr. John, was introduced by Brian Williams and kicked off by Bruce Springsteen singing "Right Place, Wrong Time", with Dr. John and an all-star band which included event producer Don Was on bass. Foo Fighters' Dave Grohl interviewed Dr. John about music in the New Orleans-themed episode of their HBO series Sonic Highways. "Revel in the way his interviews bring out the best in Buddy Guy, Dolly Parton, Joan Jett and Dr. John (including the hypnotic reveal of Dr. John’s given name)", wrote a Decider reviewer. Dr. John's 2014 and 2015 world tours included sold-out shows throughout the U.S. and Europe, including Louis Armstrong tribute shows arranged by Sarah Morrow, and Nite Tripper shows. The Nite Trippers are band director, vocals and trombone, Morrow, Donald Ramsey, bass, and Herlin Riley, drums. Dr. John and the Nite Trippers appeared at the Hollywood Bowl tribute "Yes We Can Can" for his late friend Allen Toussaint on July 20, 2016. Also performing Allen Toussaint compositions were New Orleans artists Irma Thomas, Cyril Neville, the band Galactic, and the Allen Toussaint Band. Dr. John had a heroin habit through the 1980s. He completed his final rehabilitation stint in December 1989 and affirms that he has since been free of the addiction. ↑ Richie Unterberger. "Dr. John - Biography - AllMusic". AllMusic. Retrieved 20 January 2015. 1 2 "Inductees by Year: 2011". The Rock and Roll Hall of Fame and Museum, Inc. Retrieved 13 October 2016. ↑ "Tulane University". Tulane University. Retrieved 13 October 2016. 1 2 Moss, Stanley (Fall 1990). "Dr. John". BOMB Magazine. 33: 32–35. 1 2 Grace Lichtenstein; Laura Dankner (1993). "The Conduit - Dr. John". Musical Gumbo: The Music of New Orleans. New York: W. W. Norton. p. 143. ↑ Mark Kemp (2003). "Deja Voodoo". Dixie Lullaby. Free Press. p. 49. ↑ Moss, Stanley (Fall 1990). "Dr. John". BOMB Magazine. 33. ↑ Tallant, Robert (1946). Voodoo in New Orleans. Gretna, Louisiana: Pelican Publishing Company, Inc. p. 33. ↑ Ezra Bookstein (2015). The Smith Tapes: Lost Interviews with Rock Stars & Icons 1969-1972. Chronicle Books. p. 239. ISBN 9781616894856. ↑ "New Orleans Musician's Relief Fund - a grass roots certified 501(c)(3) nonprofit organization dedicated to aiding New Orleans musicians affected by Hurricane Katrina.". Nomrf.org. Retrieved 20 January 2015. ↑ "Gregg Allmann". The New York Times. 16 January 2011. Retrieved 20 January 2015. ↑ "Pop & Hiss". Latimesblog.latimes.com. Retrieved 20 January 2015. ↑ "Dr. John - The Spirit Of Satch". Sites.concordmusicgroup.com. Retrieved 20 January 2015. ↑ Los Angeles Times (19 August 2014). "Dr. John infuses Louis Armstrong tribute album with 'Spirit of Satch'". latimes.com. Retrieved 20 January 2015. ↑ "Dr. John, "Let 'Em In" from The Art of McCartney (2014)". Something Else!. Retrieved 20 January 2015. ↑ "8 Praises For Foo Fighters 'Sonic Highways'". Decider - Where To Stream TV & Movies on Netflix, Hulu, Amazon Instant, HBO Go. Retrieved 20 January 2015. ↑ Stromberg, Gary; Jane Merrill (2005). The Harder they Fall : Celebrities Tell their Real-Life Stories of Addiction and Recovery. Center City, Minn: Hazelden. p. 83. ↑ - plays on seven tracks and contributes five original songs, in addition to singing two duets with Wynters. ↑ Koda, Cub. Jools Holland's Big Band Rhythm & Blues - Jools Holland at AllMusic. Retrieved 2011-11-25. ↑ "David Bromberg: Use Me". American Songwriter. Retrieved 20 January 2015. ↑ Steve Leggett (2013-02-19). "Son of Rogues Gallery: Pirate Ballads, Sea Songs & Chanteys - Various Artists | Songs, Reviews, Credits". AllMusic. Retrieved 2015-10-20. ↑ "Dr. John". IMDb.com. Retrieved April 3, 2012. ↑ "Dr. John". IMDb.com. Retrieved 20 January 2015. Wikimedia Commons has media related to Dr. John.